Auto accidents cause tens of thousands of fatalities, countless more injuries, and billions of dollars of property damage every year. It’s no surprise, then, that the auto industry has been working for years to create new technologies to help prevent accidents, or to make them less severe when they do occur. While safety systems such as airbags and seat belts can and do save lives in the event of an accident, the best way to prevent deaths and injuries is to stop collisions from happening in the first place. While many technologies are still in the “too soon to tell” stage of their history, the early returns on some of these technologies are mixed. Some systems do an effective job of avoiding accidents, but others, as best we can tell, do not. Front crash prevention systems use sensors such as cameras and radar to detect whether the vehicle is too close to the vehicle in front of it. Most such systems will warn the driver and pre-charge the brakes; many will autonomously brake if the driver doesn’t respond to the warning. The idea is to prevent a collision or, failing that, to reduce speed when impact does occur. Insurance data shows that front crash prevention systems do an effective job of preventing accidents. However, the level of safety varies from system to system. For instance, some systems only recognize moving vehicles, which means they won’t prevent certain collisions such as rear-ending someone stopped at an intersection or in heavy traffic. Only a few advanced systems are sensitive enough to spot pedestrians or bicyclists. Two more systems that alert drivers to impending risks are lane departure warnings and blind spot detection. These systems use warnings such as visual alerts and steering wheel vibration to let the driver know when the vehicle is in danger of straying into the oncoming lane or colliding with a vehicle in a blind spot. There isn’t yet enough data to say whether these systems effectively prevent accidents. Anti-lock braking systems (ABS) are intended to prevent wheels from locking up while braking, causing a vehicle to skid uncontrolled. Data on the effectiveness of ABS brakes has been mixed, with some researchers theorizing that they do not held due to “risk compensation” – that is, motorists drive more aggressively with ABS brakes because they assume the brakes will prevent them from losing control. However, electronic stability control (ESC), an evolution of the ABS concept, has been shown to prevent many single-vehicle accidents, including deadly rollovers. These advanced headlights pivot in the direction of travel to help drivers see better on dark, curved roads. Early results indicate that these headlights do prevent accidents, even beyond expectations – which ironically casts doubt on how much the curve-adaptive technology itself helps. Some researchers believe that the success of curve-adaptive headlights has more to do with brightness and beam pattern than the actual headlight-steering technology. The ultimate in accident-prevention technology is the self-driving car, currently being pioneered by Google and some other companies. 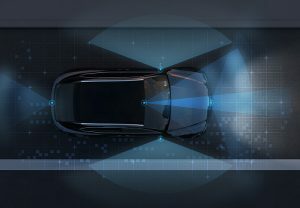 Autonomous vehicles use a variety of sensors to detect potential collisions and can often “see” hazards that would be impossible for a human driver to spot. While autonomous vehicles may be the future of crash prevention, they’re not there yet. Recently, a Google driverless car hit a bus in San Francisco, the first such accident for which Google acknowledged that the autonomous vehicle was partially responsible. According to Google’s own records, 13 other, similar accidents have been avoided only because a human test driver took manual control of the vehicle; in 10 of those, the autonomous car would have been at fault. However, as autonomous vehicles are tested in more adverse driving situations and the software that drives them is further refined, the hope is that they will be able to avoid accidents much more consistently than human drivers.